£19.99 each & FREE Delivery in UK. Guitar String Winder Made from English Oak Hardwood by Chris Alsop in his workshops in Woodville, Derbyshire, UK. Here is my version of the standard pin winder design. This has a Oak Hardwood body that is recessed to fit over a standard 25mm long tuning peg. 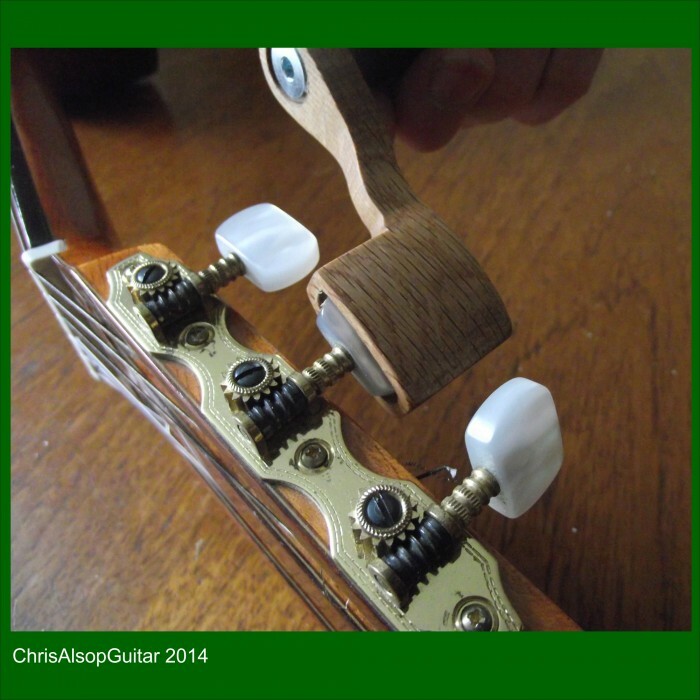 This wood surface is gentle on the guitars tuning pegs. 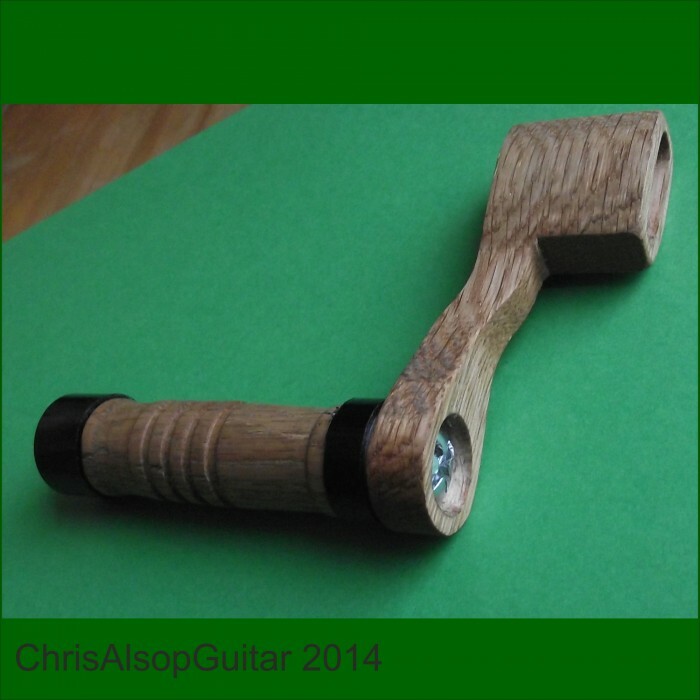 The handle is about 20mm diameter turned Oak with nylon bushes each end. 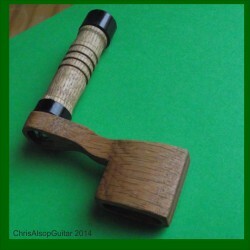 The wooden handle makes it comfortable and easy to use - makes winding the tuning pegs easy ! 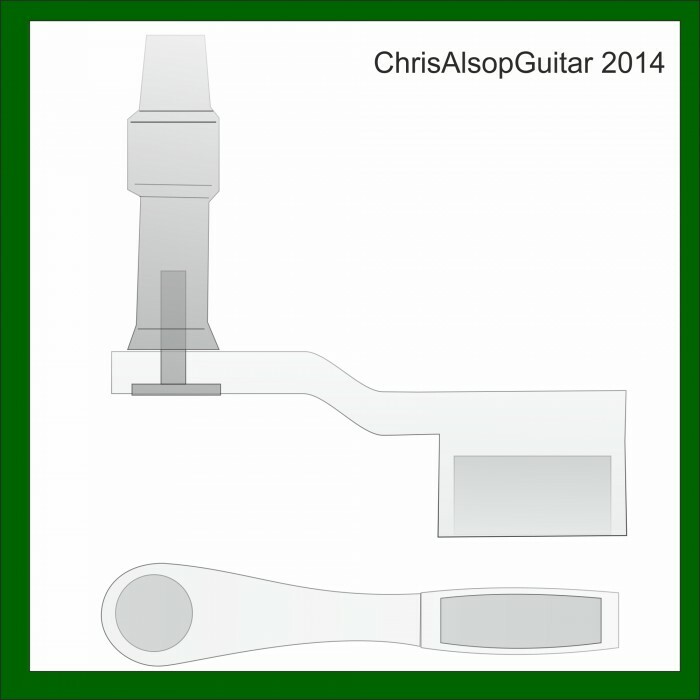 • Sizes available to fit 12mm to 45mm wide tuning peg. Width Made to fit 12mnm to 45m wide tuning peg.